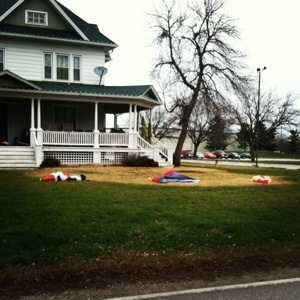 Christmas massacre – the deadly rampage through a small Iowa town. At least three known dead and police hot on the trail of the deadly “Blow-Up Bandits”. Who are these monsters? Are any of our yards safe? NOTE: Sometimes when I see things, I make up imaginary news stories in my head. This was one of those times. BTW, your yard is totally safe if you don’t have this blow up crap decor in it.